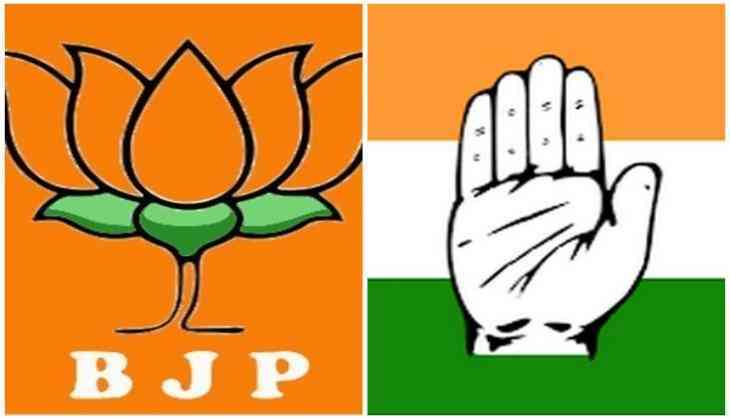 The Bharatiya Janata Party has demanded an FIR against the Congress for publication of a booklet that shows a map of Pakistan, where in the entire state of Jammu and Kashmir has been shown as part and territory of Pakistan. BJP spokesperson Tajinder Pal Singh Bagga on 5 June initiated the investigation under various laws including Indian Penal Code (IPC) and the prevention on insults of National Honour Act, or any other law deemed applicable and appropriate. Bagga in his statement asserted that, "On June 3, the Congress published and distributed a booklet titled ' Rashtriya Suraksha Par Aanch'. The said booklet shows a map of Pakistan; where in the entire state of Jammu and Kashmir has been shown as part and territory of Pakistan and also it has been written and depicted as ' India Occupied Kashmir'." The statement further stated that the said map of Pakistan, is territorial-wise incorrect and is also against and offending to the spirit and idea of integrity of India. Bagga further stressed that the map is derogatory to the spirit of Constitution of India and also offending and insulting to general public emotions. However, the Congress party has swung into defensive mode, calling the gaffe a "printing error'. "This is a printing error. However, we should have taken caution, we have committed a grave mistake, and we will ensure that such type of errors is not repeated," Congress leader Ajay Makan told ANI. Makan went on to further add that the ruling Bharatiya Janata Party (BJP) had committed the same mistake in 2014, where it had displayed the same map in their website. "But the difference between Congress and the BJP is that we apologise for our mistake immediately. In 2014, the BJP displayed the map with same error in their website. Till now they have not apologised," he said. BJP also asserted that the said map has offended the feelings of many Indians. This behavior by the Congress is likely to spread hatred, contempt, malice against the Supreme Constitution of India, amongst the general public and is also likely to cause tension and violence between various members of political parties.